More than ten decades ago Rev. Fr. Gabriel was born in Manalur near Thrissur on Dec 11, 1914 and the child was named Antony. He lost his mother early to sickness, and father to the second marriage, and Antony the boy joined for ecclesiastical studies while schooling. On completion of sacerdotal ordination, Father Garbriel continued his academic education and completed Hons. in Zoology with rank and distinction. He started his career as a teacher in Sacred Hearts College, Thevara where he was instrumental in building up a first class biological laboratory. He earned in this short span of seven years at Sacred Hearts college the reputation as an outstanding professor. It was while teaching in Thevara, during the course of a regular outing along the waters that his inquisitive eyes came to identify a new marine mollusc which eats into the platforms of the vessels, that came to be christened later by biologists as Bankia Gabriele after his name. Father Gabriel functioned between 1956 and 1975 as the founder principal of Christ College in Irinjalakuda. This institution owes its existence and glory to Father Gabriel. 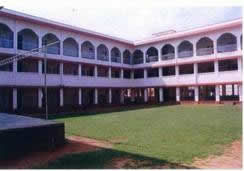 The thought process and philosophy of work that Father Gabriel evolved later in building up individuals and institutions began from his days at Irinjalakuda. This small town, then, had no facility for higher education and the need was identified on time and the required popular support for creating an ideal college was acquired by Father and his associates with exuberant success. The college gained enormously in administration, academics and extracurricular areas during Father Principal's leadership. It was also Father Gabriel's idea to begin a women's wing which later grew into the St. Josephs College for women in the heart of the town of Irinjalakuda. Father Garbriel, as principal had shown great gift for identifying and encouraging talent in his students. He built up ground for sports and auditorium for performances. Father would spare no stone unturned for pushing the studious, and academic excellence reached its peak in his days. The college annexed several trophies and other paraphernalia for meritorious contributions of students in writing, speeches, mock parliament et al at this time. 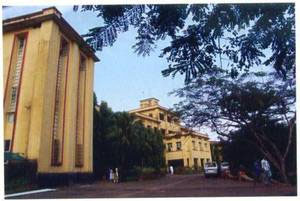 By the fag end of Father Gabriel's regime Christ College had become one of the country's best run colleges at the reckoning of the University Grants Commission. 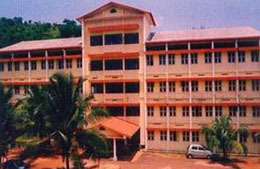 Father Gabriel's retirement from Christ College proved to be the harbinger of several educational and cultural centers, under his guidance and leadership, most notably the Amala Cancer Hospital near Thrissur. 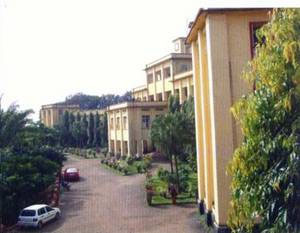 The lessons Father had learnt while building and managing Christ College, namely, the need or requirement felt by the public for institutions and the way the public participation is assured, came handy for him and his lieutenants for establishing the series of institutions Father laid his hands on, established and ran very successfully later. The most significant achievement post superannuation for Fr Gabriel was the establishment of Amala Cancer Hospital. The waste land beyond Thrissur town which was acquired and earmarked for a cancer hospital early, was lying deserted and not used until Father got on the scene responding to the demand of the people in and around Thrissur, who had witnessed his expertise already for building institutions from his Christ College experience. 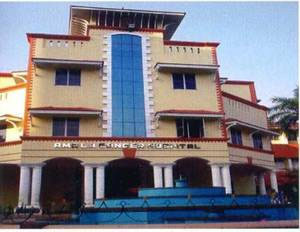 He was the Head of Devamatha province of the Thrissur congregation at that time and the Father again succeeded fully in enlisting the support of the local populace and the government and began work with a massive project for building a fully equipped hospital for cancer treatment and research at Vilangan hills. Within no time Fr Gabriel's efforts began to show results and in the short span of 18 months the first phase of the hospital was completed. 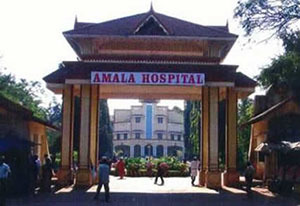 Now Amala has grown into a full-fledged hospital with all modern equipments and specialized doctors. The hospital also employs effectively, other branches of medicine apart from allopathy, like Ayurveda and Homeopathy, for providing relief to patients. 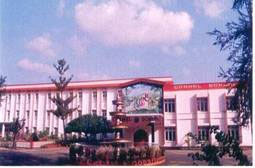 Other institutions Fr Gabriel established successfully are, The Carmel Public School at Chalakudy, Bharat Matha School and parallel colleges at Ambazhakkad&Varantharapilly, for promoting education, Catholic Center and Art Kerala, both in Irinjalakuda, for providing education and inculcating constructive values in the youth, Deepthi Cultural Center at Calicut for encouraging fine arts, Higher Education Council and Indian Institute of Christian Studies in Thrissur for spreading Christian culture and Sneha Bhavan, Pratiksha Bhavan and Sneharaam around Thrissur for helping the physically retarded. Fr Gabriel's voluminous work in areas pertaining to education, health and services teaches a lot. He has always shown exuberant commitment to the tasks he undertook. He worked with enormous discipline and tact for materializing the endeavors he initiated. Father had both patience and perseverance. He was strict and always to the point as situations demanded. All the projects and programs he took up had very vital social utility. Fr Gabriel had well chartered purposes and very clear thinking that decided his mode of action. Father had the well being and growth of others always in his mind while nurturing projects. 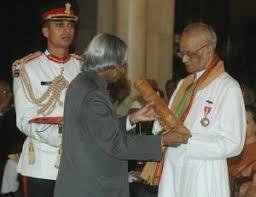 He defined the advancement and well being of the society as the testing stone of his service. Fr Gabriel was always focused. He visualized his projects elaborately and went into all details of the work very minutely. The hallmark of his approach to matters and men was his incorrigible optimism. Problems and obstacles on the way did not make him disheartened and Fr Gabriel never called it quits. As his plans were characterized by tangibility, so were they marked also by their foresight, farsightedness and vision. There are lots of lessons for the modern management gurus to be picked up from Fr Gabriel's various project experiments and their administration, survival, success and glory. Sadly, he passed away on May 11, 2017.